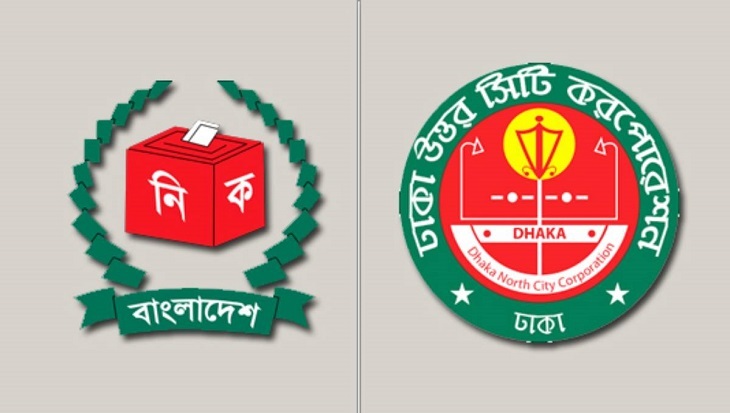 Although only two days are left for the by-election to the mayoral post of Dhaka North City Corporation (DNCC), many voters are not aware of it, largely for lack of electioneering unlike in the polls held in 2015. According to voters, the election has failed to heat up the atmosphere as there is no opposition candidate in it. During the mayoral election held on April 28, 2015, there was a vigorous campaign from both Awami League candidate Annisul Huq and BNP contestant Tabith Awal. Talking to several voters of Mirpur, one of the densely populated parts of the city that falls under the DNCC jurisdiction, it was found that many residents were simply not interested to cast their vote in the upcoming by-election, and the electioneering has not caught their attention either. When asked about the date of the by-election, one Fakhrul Islam said, "I don't know the exact date... but I've heard that the election will be held." Fakhrul said, "No candidate came to ask for my vote. And I didn't even see any rally or campaign in our area. Just a few posters of the ruling party candidate were hanging haphazardly." He also opined that he has no interest in casting vote as no strong opposition candidate is vying for it. "There's no contest because opposition BNP is not taking part in the election. So, the candidates are not holding serious campaign and eventually the voters find no interest." Rezaul Karim Patwari, another resident of DNCC's Rayerbazar area, said, "I came to know about the election after receiving a notice that all educational institutions in the area will remain closed on February 28 for the by-election. Many people of the area came to know through their children after getting notices from their educational institutions." The DNCC mayoral post fell vacant following the death of Annisul Huq on November 30, 2017. He was elected mayor on April 28, 2015. On January 9 last year, the Election Commission had announced the schedule of the DNCC by-polls and election in the new wards, fixing February 26, 2018 for the voting day. But the election was not held as the High Court stayed the election schedule for six months. The court order came following three writ petitions filed challenging the legality of the schedule. Finally in January last, the court cleared the way for the DNCC by-election and election in the new wards. A total of five candidates are vying for the mayoral post. They are Atiqul Islam from Awami League, Shafin Ahmed from Jatiya Party, Anisur Rahman Dewan from National People's Party, Shahin Khan of Progressive Democratic Party and an independent candidate Abdur Rahim. Election to councillor posts in the 36 new wards -- 18 under the DNCC and 18 under the Dhaka South City Corporation -- will also be held on February 28. In those wards, however, a massive campaign was seen as voting for the councillor post is going to be held for the first time. The total number of voters in DNCC is 2,345,374 - 1,224,701 males and 1,120,673 females.